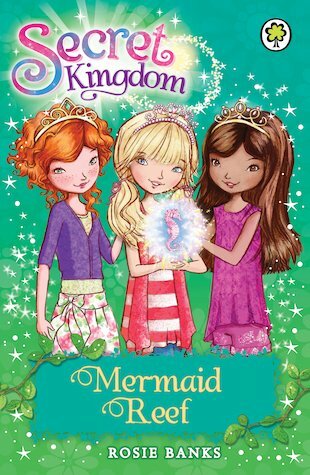 Ellie, Summer and Jasmine are set for a magical adventure deep beneath the sea! Mermaid Reef is the most beautiful place you can imagine, full of colourful fish, amazing ocean plants and magical mermaids! But the enchanted Wishing Pearl is in danger. Can the girls help their new underwater friends to save it from Queen Malice and her naughty storm sprites? I am 9 years old and have read this book. When I first got given this book I thought it was going to be so boring. But when I read this book a couple of months later I read this book and it was amazing.